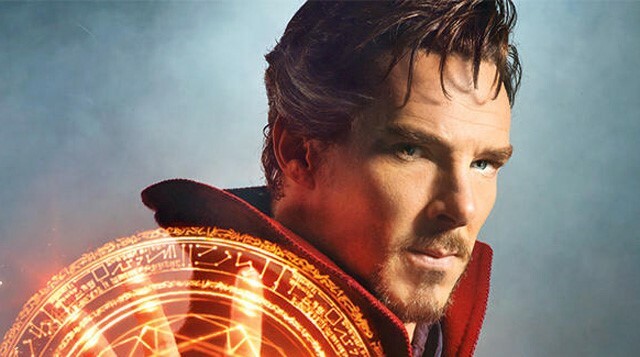 We’re very excited about the debut trailer for Doctor Strange starring Benedict Cumberbatch that appeared online in the wee small hours of Wednesday morning. Comic book blockbusters are a dime a dozen these days, but we think this one is going to be rather special – especially for Sherlock fans. Here are five links between the Marvel movie and the world of Holmes that have us excited for both this film, and future films from the studio. Obviously. Best get this one out of the way first. Both Sherlock and Doctor Strange share a supremely talented actor in their leading man. But you knew that already, right? There are plenty of differences between the characters, but also plenty of similarities too, hopefully making this new role a mix of exciting new dimensions but also familiar quirks for Benedict to get his teeth into. Stephen Strange may have once been a surgeon, but in the pages of the Marvel comic books in which he stars and makes guest appearances he finds himself sometimes evoking a certain famous consulting detective to solve mysteries that other Marvel heroes are at a loss to explain. It’s still unknown just who he is playing, but the former Hannibal Lecter is apparently the leading bad guy in the film version of Doctor Strange. He also has a couple of links to the BBC series – chiefly, his brother Lars played Sherlock’s most repellent foe thus far in the form of Charles Augustus Magnussen in the third series of the show. But also he was Le Chiffre, the first opponent for Daniel Craig’s James Bond in 2006’s Casino Royale – a film that was scored by David Arnold. Who we all know and love as one half of the composing team behind Sherlock.